Acclaimed driver Justin Ruggier will team-up with up and coming young racer Ollie Shannon to compete at the Jacuzzi Spas Australian Production Cars’ Sydney Four Hour this weekend at Sydney Motorsport Park. The pairing will field the #88 Prolicam Autosport/Bankstown Helicopters Toyota 86 in Class D for the September 21-23 event. While Ruggier will be making his debut in the category, Shannon did take part in the APC’s opening round for 2018 with the NSW State Production Cars, competing in Saturday’s two races as part of what is his rookie year behind the wheel. “I have taken a less conventional route into racing – I haven’t done any go karting or anything, I have really just gotten a car and gotten into production cars. My car used to belong to Chris Reeves, the two-time class champion at the Bathurst 6 Hour,” explained Shannon, who is currently third in class and seventh outright in the NSW Production Car standings. “The Sydney Four Hour will be a good event for me to get a bit of seat time, and I have been looking for an event to do with Justin for some time. I only started racing this year and have five events under my belt so far with the NSW Production Touring Car Championship, including the one at Sandown with the APC in May. I really enjoyed that taste of the APC and liked the format that they run. 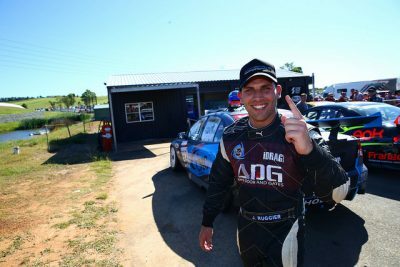 “I see this weekend as a good way to warm-up before I hope to do the Bathurst 6 Hour next year, and I am hoping to do more rounds of the APC next year. In the meantime, I have had a fair few laps around SMP – I like the layout and it suits the car well even though the long straight does hurt it a bit; I think we should be pretty competitive in class. Ruggier also thinks highly of Shannon’s racing efforts so far and sees much potential in the 18 year old. “I think the APC is definitely a great platform for emerging talent like Ollie, and it gives great exposure to the manufacturers as well. It is definitely appealing to me, especially because I will be able to help mentor Ollie by showing him what I do behind the wheel. I am really looking forward to it and to the battles we are going to have out on the track,” Ruggier said. “He is definitely a motivated young guy – I have had him on my training simulator and think he definitely has a lot of potential, so now I think it is going to be really great to drive with him and see our times and data back-to-back. “I will be pulling double duty over the weekend too, racing also in the Aussie Racing Cars as I try and chase down that championship. I am currently fourth in the standings and only eight points adrift, so the pressure is on, but I love pressure. It would be nice to get a seventh national championship under my belt! “Hopefully in the APC we can have a good run and strive for a class victory. I have done a lot of 12 hour karting races and production car racing in other series as well, even taking out an Australian Endurance Championship in 2014, so I am well exposed to endurance racing and I really love it – if it wasn’t for the chequered flag or for it getting dark out there, I would never come in off the track!” Justin laughed. Round four of the 2018 Jacuzzi Spas Australian Production Cars will hit Sydney Motorsport Park across September 21-23, featuring a four-hour race on Sunday.